Apple announced more than 1 million apps in the App Store. It boggles the mind to consider how much the number has grown and continues to grow every day. The sheer volume of competition is just one thing you need to know about app marketing, but don’t let it dissuade you from starting app marketing, There are plenty of other things to learn to help your app stand out from the crowd. 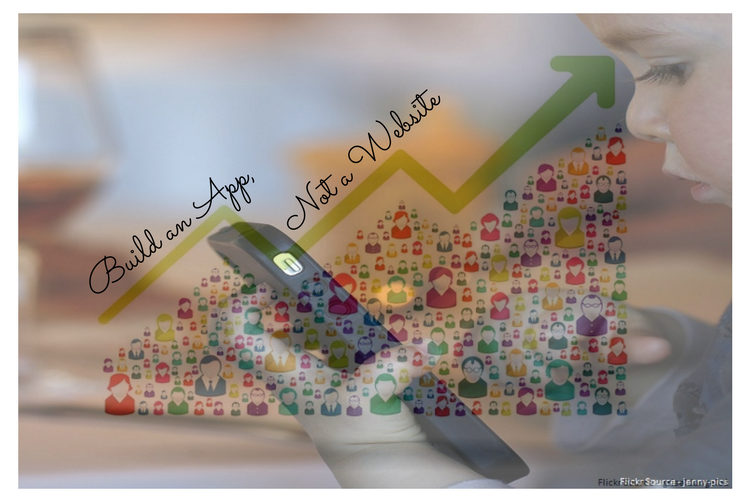 There is a difference between a mobile website and a mobile app. While it might seem like a quick fix to use a version of your mobile website as a newly released app, it won’t be worth it. Apps can and should function differently than websites – usually with streamlined function. As you think about your new mobile app, think about how you can get customers to come back and use it regularly. The vast majority of apps are fun once or twice, but customer interest fades. 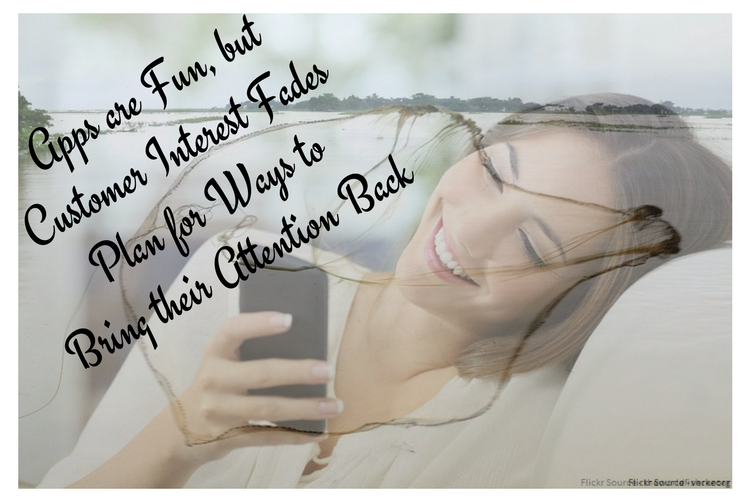 Be aware of this and plan for ways to bring their attention back. Apps give you the ability to be literally in the palm of a customer’s hand. This means you should be thinking about how to personalize that connection as much as possible. Let customers create a personalized aspect within the app and builds a sense of relationship on the part of the customer. Your app is a great way to communicate with customers, but communication only works if you leave customers a way to get it. Sure, a push notification might get their attention, but unless there is an inbox storing those important messages for later consumption, it will be next to impossible for customers to read later. The idea of a new, shiny phone app is exciting. But don’t let the excitement of the app overpower your good sense. 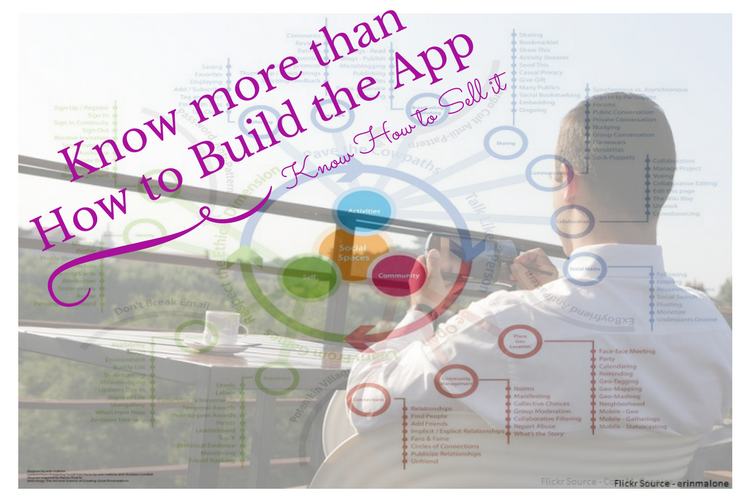 You need to know more than how to build the app – you need to know how to sell it to the parties who want to download it. And that requires specific market research. If you ask your customers to tell you nice things, they probably will. Set up a system of rankings, stars, thumbs or likes within your app so that customers can quickly and easily give you feedback about their experiences and purchases. The world of media moves quickly. It’s important to stay in tune with the constant changes so that you can bend and flex appropriately in whichever direction the technology wind is blowing. That flexibility will serve you well in the development and marketing processes as well. Speaking of marketing, your marketing team should be involved in the development of your new app well before launch. Marketing knows your customers. They know about color preferences, response rates and industry comparisons. Why would you not want them as part of the design team? When you take on a new app, you’re taking on a huge project. For this reason set your launch date first. If you know that you will be launching your new app on January 1, you can structure your intermediate deadlines and requirements accordingly. If you start building without a deadline in place, the building may truly never get done. You’re already asking clients for feedback. Now be sure that the feedback you’re seeking and any other measures are relevant to what you’re trying to do. Consider the most important parts of the customer experience and the parts that are most lucrative. Measure those first. But don’t measure too much. If you measure every click on every button and every elapsed time for every item, you’re never going to emerge from your data. You will have beautiful data telling you everything, but you’ll never have time to do anything with it. Don’t forget that customers using your app are essentially a captive audience (until they close the app at least.) 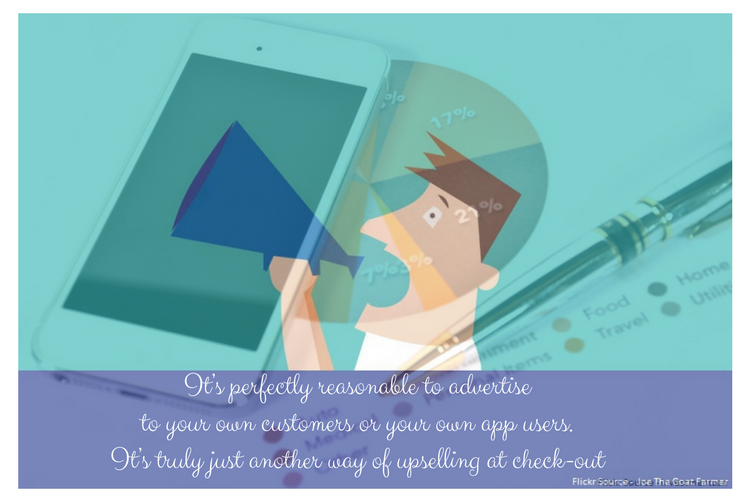 It’s perfectly reasonable to advertise to your own customers or your own app users. It’s truly just another way of upselling at check-out. Even the best app might have the occasional hiccup. 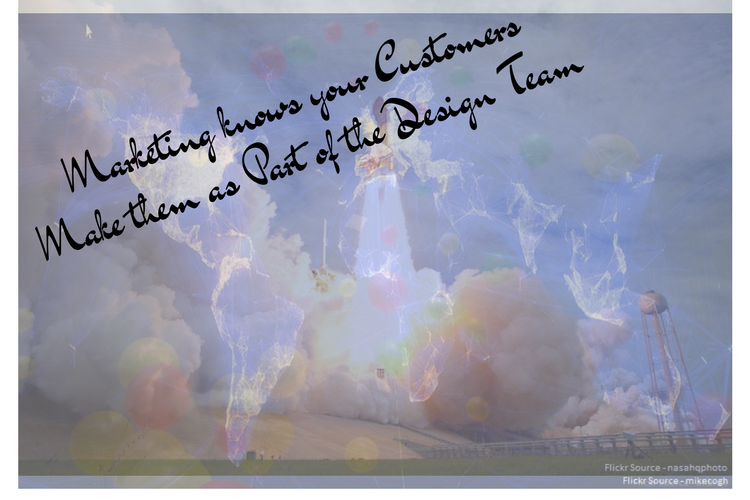 Your company surely focuses on customer service and the customer experience. Shouldn’t your app give customers a way to reach your customer service department when things aren’t going well? As tempting as it is, don’t give in to the desire to send a push notification about every single thing. If you send too many notices, you’ll burn out your customers and they will turn off all notifications. It’s far better to send a rare notification that will get read than lose the trust of your customer. Your app has been asking for feedback for your own information and for development purposes, but you can use the same technique to earn reviews for your product in the app marketplace. Simply ask users to leave a quick review, especially if they are using your app frequently. 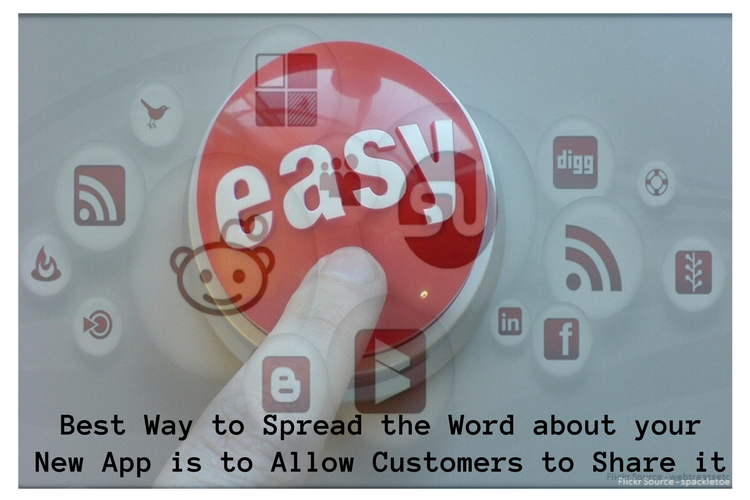 Along the same vein, one of the best way to spread the word about your new app is to allow customers to share it. Include an easy way for users to reach out and send notifications, information or invitations to others who would enjoy the app as well. When you’ve finished the app and feel like it’s pretty straightforward, simplify it again. And again. The easier an app is to use, the more it will be used – and that is certainly the goal you’re shooting for. 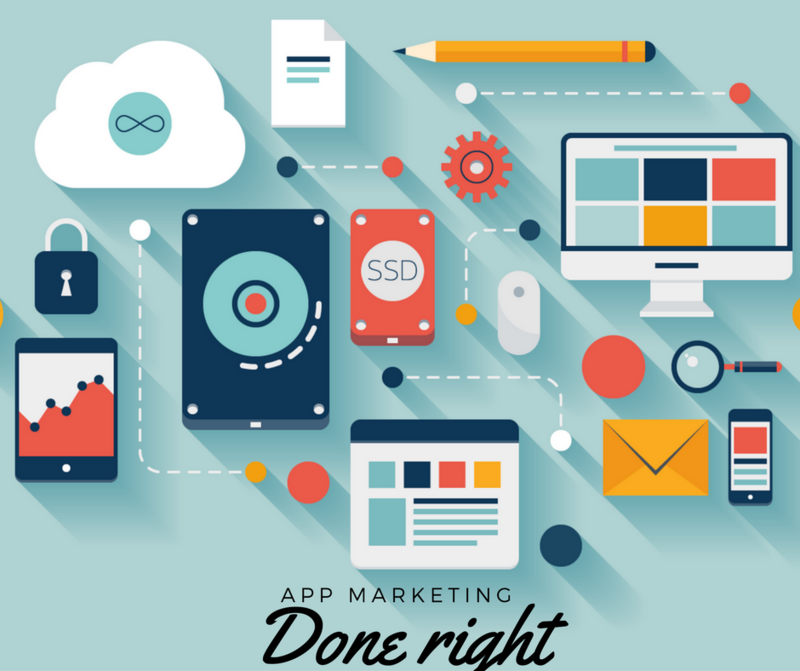 Just like anything else in advertising, app marketing can be hugely effective if you plan well and implement your strategies carefully. Do your homework, plan accordingly and cut yourself a share of the billions of dollars being spent on mobile apps every year. I would like to know what SSL Certificate are you using on your domain name. It’s very nice & really looks very awesome. What great tips you have given here. I like number 7 the best: Being responsive to change. The internet world is one that moves faster than ever and changes are always coming about. Once we are responsive to them, the rest will come easier. Thanks so much for these tips on building and marketing apps. This isn’t something I had ever considered before, but your advice has made me wonder if I’m missing out on a huge audience. My favorite of your marketing tips was being sure you have ways to make the audience to return to the app and use it regularly. I have to confess I have downloaded far too many apps and then never done anything with them. Thanks for sharing such great info! That is pretty good resource on App Marketing. I am planning to create an Android and iOS app and at some extent, your post gave some really useful information about the apps and its marketing. nice post buddy keep going your good work. What type of apps do bloggers have or use? Thinking what function they could serve in that way. I like Brand24 ‘s social listening app and the Buffer app on Mobile. Thanks for these informative tips. Not really another website, think about it in terms of presentation – do people read your blog on feedreader? I do! You can render your blog posts on your app and your readers will read your posts on their apps. That way you can be closer to your readers as smartphones are something that most people have and it remains a lot more closer to them than their laptops. Yeah, Apps seems to work out better than just websites – because getting into your customer’s cell phones is far closer than have a mobile responsive website. Well..! Oleg Good information on app marketing. I really liked all the steps precisely 13&17 if people are good at these two then any app can be out of the crowd. Creating apps are bit easy but after its maintaining is much tougher part. old philosophy but effective. Thank you so much for sharing. I just built the mobile app for my blog but I’m yet to host it. I’m happy reading it because I have seen areas I can make some amendment to g ET more downloads and I won’t annoy my customer. Great Information and thank you for sharing . Very Good information , thank you for the sharing . Great strategies. I am new to the scene. I will be implementing these tomorrow. Thank you so much for such wonderful blog. I was about to develop simple android apps and was confused about marketing. Sir, your post really helped me. Thanks for this article. Keep up the good work. Having a good app makes a big difference and apart from that if you following the trend you can actually make a difference. Nice tips, I will definitely use for the marketing for my apps.